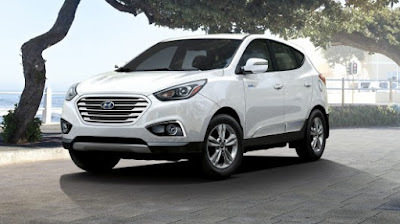 It has been one year since Hyundai began leasing a small number of Tucson Fuel Cell crossovers in Southern California. Now the automaker is taking to the Web to tout the 70 customers who got the vehicles, and how the vehicles fit into their daily lives. The message: fuel-cell vehicles that emit only water vapor are in today-land. The video series plays on the idea that the people who got the keys and drive the Tucson Fuel Cell crossovers for a year are real-life superheroes. To be sure, all of them are achievers — doctors, philanthropists, engineers, and entrepreneurs in green business. But Hyundai agency of record Innocean U.S.A. gives each of the eight owners in the “Day in the Life of a Fuel Cell Family” the comic-book treatment as well, with names like “Alter-Eco,” “Recyclor,” “Hydrofox,” and “Mother Nurture,” and visual representations by established comic book artists. The content is centered on a microsite for the vehicle, housing videos showing the owners doing everyday tasks — commuting, softball practice, Starbucks — and also recreational jaunts. One video on Carolyn Rowley (“Mother Nurture”) gets into how she started an orphanage in Kenya, and was awarded California’s Best Sustainable Garden; Another, “Blue Lightning,” is an engineer who does green-field startups in Mexico and Brazil. How far have people driven the vehicle? According to Hyundai, as of this week the 70 drivers have collectively accumulated enough miles in the Hyundai Tucson Fuel Cell cars to reach the lunar surface and return, around 477,800 miles. Refueling time is similar to gasoline vehicles of same size. Hyundai started building the vehicle in February 2013 at the Ulsan, Korea, assembly plant that makes the gasoline version. The vehicle is pretty much like the production Tucson crossover -- and, Joyce notes, there is only about an inch snipped out of the rear cargo area space to accommodate the hydrogen storage units powering the fuel stack. “In the videos you see that it isn't some crazy-looking futuristic car — it's a Tucson — and people putting kids' stuff in back, commuting as normal people do.” He adds that Hyundai is tracking effectiveness by measuring traffic, and collecting hand-raisers.